The ranking put the Chicago park in the company of Central Park in New York and the National Mall in Washington D.C. It appears the number one attraction in the Midwest sits right here in Chicago. With nearly 12.9 million guests in the second half of 2016, Millennium Park was named the top attraction for the region and was also listed among the top 10 most-visited sites in the U.S., Chicago Mayor Rahm Emanuel announced Thursday. The ranking was based on new attendance counting technology, officials said, which put the Chicago park in an acclaimed spot alongside Central Park in New York and the National Mall in Washington D.C. The attendance to the park was measured by passive electronic sensors located around The Bean and three main entrances, according to officials. 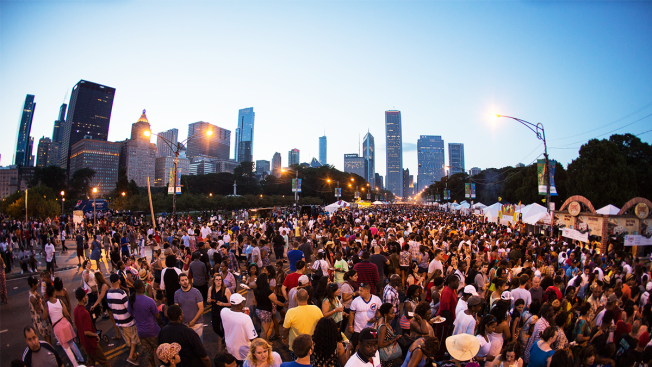 The park is expecting even more guests this year with the return of events like the Millennium Park Summer Film series, the Millennium Park Summer Music Series and the Chicago Blues Festival. “Millennium Park is Chicago’s town square—a lively, spectacular gathering spot located in the heart of the city and a destination for Chicagoans and visitors alike,” Mark Kelly, Commissioner of the Chicago Department of Cultural Affairs and Special Events, said in a statement. The downtown park is located on Michigan Avenue and it is the epicenter of the city's cultural campus with The Art Institute, The Chicago Cultural Center and Maggie Daley Park just steps away from it.